Where do you want to be married on your wedding day? 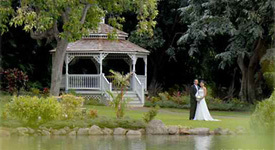 There are many private sites where you can be married here in Hawaii. 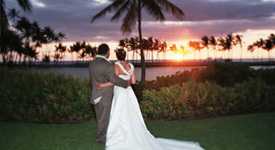 See our suggested private locations on Maui, Oahu, Kauai and on the Big Island of Hawaii. Also see our Locations page for lists of other sites you can add to any of our wedding or wedding and honeymoon packages. If you have questions, feel free to email or call us. 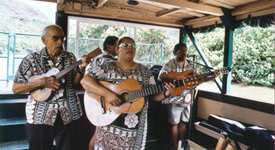 We are happy to answer all your questions and suggest special ways you can customize your arrangements here in Hawaii. 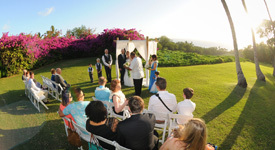 Our helpful staff is waiting to help you arrange the wedding ceremony of your dreams.